How to Start a KFC Franchise? You need the ANSWER? KFC Corp. has been around since the 30's. Since then, it has become one of the most, if not the most, popular chicken & food restaurant all-over the world. Yum! Brands, which is a conglomerate company, owns the popular restaurant chain. The company also owns other popular restaurant chain such as Long John Silver's, Taco Bell, Pizza Hut, and A&W. With more than 500 units of KFC stores in the world and more than 50 percent market shares in the umbrella company, opportunities in KFC investment is ideally good for businessmen who are motivated and dedicated in bringing good service to its customers. KFC Corp. has started making franchises available in the market in 1952. Since then, the company has established hundreds of store worldwide. Initially, you will need around $25-$30,000 for franchising a store. According to the company website, there was no financing available for first-time owners. Based on the company website, you and your staff can get free training to develop your skills in handling such food and restaurant business. This training involved shift leading, brand training, and handling different branches in one time. The company, under the Performance Improvement Programs and Support, will also hand out certifications after you and your staff completed the training. However, the $25,000 franchising fee does not cover all the expenses. You'll going to have another $1million-$1.8million as capital requirement. The cash based capital is needed for building construction and other equipment to be purchased later on. The company is also requiring all of its franchisee to commit in building or at least handling 3 more restaurants over a period of three years, which is in the US alone. The location of the store can also be handled by the mother company in order for you to maximize visibility without compromising the profit you'll get in every store that you put up. A genius in multibranding, Yum! Brands can also accommodate you're choice of two brands under of roof. It also gives you the value to your money by combining two leading restaurant names and giving consumers that much needed choice and convenience. Now, they will never have to move from one place to another just to order fast and fresh foods. The company also has what they called Value Network. This includes programs and staff recognition and support to enable you to compete in advertising terms. Brand recognition alone is a form of advertising so you can be assured that you're getting more than what you need. Consumer attraction and competitive advantage is gained simply by brand recognition so you don't have to pay extra money for TV, paper ads. With all of these factors, the return of investment can be acquired in just a small amount of time. Q. How much money required to open a KFC in India? A. You need about Rs.20,000,000 or 2 crores INR to open a KFC Restaurant. Q. What should be your net worth to apply for KFC franchise? A. Your net worth should be Rs.50,000,000 or 5 crores indian rupees. Q. What is the franchise fees? A. Franchise fees in India is Rs.1,200,000 or 12 lacs rupees. Q. Who manages the KFC franchises in India? A. Yum! is managing them all. Q. Whom to contact in India for a KFC franchise? A. Use the official website to contact the company. How to open a deli sandwich shop requires planning, time and money, but the rewards of putting up one are certainly worth it. Read this comprehensive guide. In starting a sandwich delivery business, you have to be strategic in finding the right spot for your business. Also, you have to be witty enough to convince prospected clients through proper business promotion. I want to know how to start a KFC from infancy. Mainly I want to know where can I get the practical training in relation to staffing, financing and store set up etc. Regards. i'd love to start this franchise in south africa please forward me more information as to whom to contact and the franchise start up costs with all the procedures to be followed. Sir/madam, I am having my own RCC building in the heart of city at Port Balir, Andfaman & Nicobar Islands. I would like to start a KFC restaurant. I want to know the term and condition for franchise. Please help me. Why should one opt to take a franchise for KFC instead of Pizza Hut or Domminos? What can be the strategic plan for a new group of food outlets in INDIA? sir, i want to open a kfc franchise in INDORE (MP) INDIA. COULD YOU PLEASE GUIDE ME. I HAVE THE INFRASTRUCTURE IN THE MAIN CITY OF INDORE. Dear Sir/Madam, Kindly forward me with the relevant information that I would need to successfully apply for a KFC franchise in South Africa. Thank you and kind regards. Hi, I am interested in opening a KFC franchise in South Africa(Durban). Please forward me the relevant info on how to do this. i am interested and would like to start a KFC franchise in Johannesburg South, namely Zakariyya Park, we have the infrastructure & the required capital can be arranged. Please forward more details and this is because there is no kfc branch in our city. please send me the details as soon as possible. I would like to start kfc outlet in ahmedabad or baroda. kindly provide me details what all things will be required from my side including approx capital expenditure at initial stage. sir, i am in pondicherry, india. This city is one of the tourist place. one of the part of finest places of the world, yearly more than one lac people vist the pondicherry from other countries. I am interested to open the KFC in pondicherry so know about the details for open the franchise. I want to open KFC franchises in hyderabad surroundings. please tell what are the details and what could be the cost of infrastructure and other details. i want the complete details of this project. i want to open the KFC franchises, so please tell what are the details about it, like the infrastructure and modal at the first starting up. i want complete details of this project. I WISH TO OPEN KFC IN FARIDABAD. PLEASE PROVIDE US THE NAME AND CONTACT NUMBER OF THE CONCERNED PERSON WHO DEALS INTO IT FOR FARIDABAD ASAP. I would like to open a KFC franchise in Visakhapatnam, Andhra Pradesh or in Hyderabad, AP. I wish to know detailed summary of store set up costs and other financial information involved. I would also want to know who would be the point of contact to start establishing this project. Hi, I would like to open KFC franchise in Orissa. So please provide the details of this requirement. How much capital required for opening this franchise??? Thanks, Satikanta. Hi There, This is Rahul Saini, I just wanna open KFC in Punjab, can you tell me all the budget and covers. Thanks & regards, Rahul saini. For more details please send me an email..
Hi mam, I am form kanyakumari district, I just want to know the details if i would get KFC Franchise, Please let me know to the e-mail address about the details and the initial investment. Hi, I am interested in starting KFC in cochin and chennai. I would like to have a detailed report on starting a franchise including financial break up of the investment required and other support which is available in the system. I would like to know the lead time required and any other relevant information. Hi, I am interested in KFC franchise to start at Lucknow (U.P), India. I would like to know about detailed report on starting a franchise including financial break up of the investment required and other support which is available in the system. I would like to know about any other relevant information. i have a property that is situated on the N2 in Qumbu in the Eastern Cape, Street address is 25 Aubert Street, Qumbu, formerly known as the Transkei. It is at the entrance point from Mtata. The Property is owned by my father who is willing to offer it as a business property. I would like to open a KFC franchise on that property. If the company is interested you can contact Mr.V.S. Nakani @ 0715427777 or Mr. L.B. Nakani @0745487817 or Mr. T.T Nakani @ 0730120404. Your Response will be highly appreciated and we are looking forward to doing business with Kentucky Fried Chicken. I have around 5000 sq.ft of space in Ooty, Tamilnadu, India which is a tourist place. People from all over the world visit Ooty and there is no such fast food chain. I like to have franchise information and the procedures to start it. Contact No: 9962597789. 9500046889. I want to start KFC franchise in Mafeteng, Lesotho, one of the southern districts in the country. Please send information all that relevant particularly the cost. I would like to know how can i start the kfc franchise business in Eastern Cape, South africa. Would you please provide me with the contact details of South africa KFC office. I would like to know how can i start a kfc franchise business in Pretoria South Africa. Can you please provide me with the contact details of South african KFC office. Please forward me contact details for the KFC offices in South Africa and any other useful information regarding applying for a KFC franchise in South Africa. Thank you. Hi, I want to open KFC in Mafeteng. which is in the south region of Lesotho. There are 2 KFC outlets in the country at the moment, but there are based in the capital city Maseru. Please send me all the details regarding the franchise. Hi, Please let me know the procedure, protocols for starting a KFC outlet in Mysore. Waiting for your kind reply. Thanks in advance. Hi, I would like to open a KFC franchise in Maseru, Lesotho. Please advise of how to start. Please give information on all I need to start. Hi, I am very keen in opening a franchise of kfc in Guwahati and Nagpur. so, kindly contact me at the earliest possible. I want some info on opening a KFC in Stellenbosch. Please send me some info on starting-up costs etc. Hi, I am interested in opening a KFC franchise in GOA ( Calangute ). please let me know more details on the costing and final budget. please do soon. I am interested to open an franchise of KFC restaurant in Chennai city. Please give me the full details of budgeting, staffs training, accessories etc. Already i have a experience in Hotel Business in chennai and still operating successfully. I am interested to open a franchise of KFC in one of the prime ares in Kolkata city. I am a hotelier with a work experience. i work in hotels for 5-6 years. Kindly send me the requirements for opening the franchise. I am From Tirupur(Tamil Nadu) in India. I am sure KFC will get good business if KFC can give a franchise to me. Please Mail be the maximum detail for making a head start on this venture. Good afternoon I would like to be part of this winning team by starting a franchise in every demanding area for this particular brand and I need information on how do I start and what to do. hi, i'm interested to start KFC franchise in Tiruchy(TN). i would like to know the details about the initial investments, security amount, machinery cost and where to purchase. so please kindly mail me the details for making ahead to start and serve for people. I am interested in finding out about opening a KFC franchise in Patiala, India. Please could you send all the necessary information needed to consider this. Many thanks. What are the possibilities of opening a KFC franchise in Kenya? KFC was around in the early '80's but the business owner moved out abroad. The potential of a success as a fast food outlet is good business and KFC would definitely make a mark. Hi, i'd like to start a KFC franchise in Pretoria could you please send me all the information. i need to know in order to pursue this. Thanks! hi. i am interested in opening kfc in UDAIPUR (Rajasthan). because there is no such type of restaurant in this area and also the tourist capacity of this place is very very high. so please inform me about all the criteria of having franchise of kfc. Dear Concerned, i Would like to know the possibilities of opening of a KFC Franchise in Kochi, Kerala. Kindly request your revert with regard to procedures to be followed. Hi.. I want to open a KFC franchise in Srinagar (KASHMIR). Now I want the complete information for opening the same. Please forward me the complete details for the same thing as soon as possible. Thanks! i want to open a KFC franchise in Daventry, England. could you please advise and send details. many thanks regards Pep. i would like to start a KFC outlet in dar es salaam, Tanzania, would you forward information and requirements needed and the exact costs. thanking you in advance and hope to hear from you soon. Hi I m sudhirmallabaruah and i'm interested to take up the franchise of KFC for Guwahati. 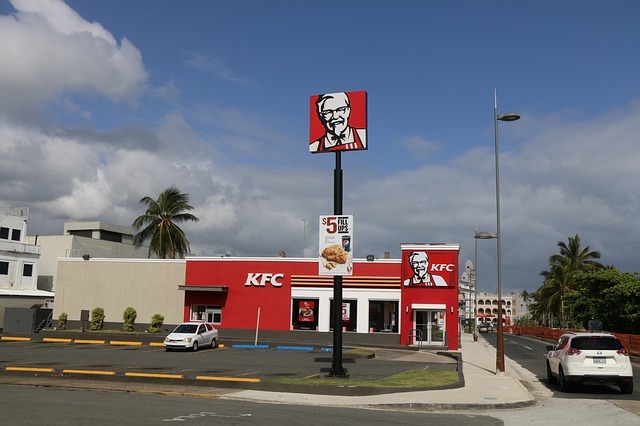 Its a fast growing city and I see ample of opportunities to expand KFC here. Kindly let me know the details and the procedure for the same. hi there, i would like to open a KFC Franchise in Alice, Eastern Cape, South Africa, who can i speak to? Hi i would like to know if i can buy a kfc in sasolburg/parys area, south africa. Please send me details/prices OR contact me for any other opportunities. plz let me get some details as soon as possible .